Hanoi (VNS/VNA) - Shares recovered from morning losses on August 16, with large-cap stocks, especially steel and fertiliser shares, leading the way. On the HCM Stock Exchange, the VN-Index edged up 0.33 percent to close at 773.57 points. The key southern market index went down 0.66 percent on August 15. 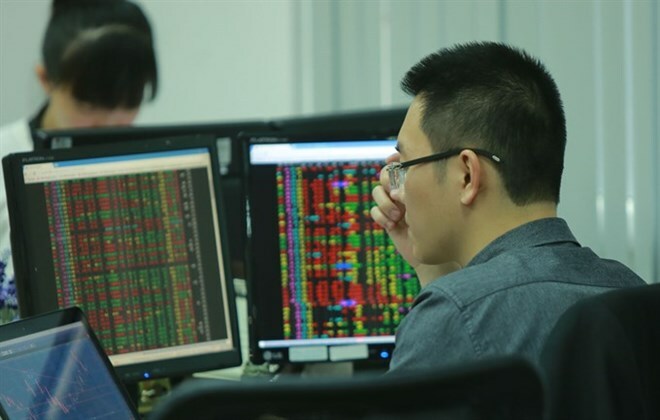 On the Hanoi Stock Exchange, the HNX-Index picked up 0.44 percent to end at 101.74 points. It inched down 0.2 percent in the previous session. Capital flows on August 17 focused on the steel, fertiliser and construction sectors. The two biggest listed steelmakers – Hoa Phat Group (HPG) and Hoa Sen Group (HSG) – increased 2.2 percent and 1.5 percent, respectively. Other small steel firms such as Nam Kim Steel (NKG), Vietnam-Italy Steel (VIS) and Tien Len Steel (TLH) rose between 0.4 percent and 1.4 percent each. Big companies in the fertiliser and construction industries such as PetroVietnam Fertiliser and Chemicals (DPM), Ca Mau Fertiliser (DCM), FLC Faros Construction (ROS) and Coteccons Construction (CTD) also rallied. Other large-cap stocks supporting the market included PV Gas (GAS), Masan Group (MSN), brewery Sabeco (SAB), insurer Bao Viet Holdings (BVH) and Mobile World Group (MWG). On the negative side, banks weighed the market down. Losers included BIDV (BID), Vietinbank (CTG) and Military Bank (MBB), three of the four largest listed lenders by market value. According to FPT Securities Company, unexpected movements of several heavyweight stocks recently have impacted on forecasts of market trends. “Obviously, the upswing of large-cap stocks is causing confusion, increasing the risk of a bulltrap,” market analysts at FPT Securities Co wrote in a note. The VN30, which tracks the top 30 largest shares by market value and liquidity on the main bourse in HCM City, continued to rise higher than the benchmark VN-Index. It was up 0.44 percent on August 16 to close at 749.37 points. Liquidity improved on August 16 with nearly 212 million shares worth 3.64 trillion VND (160.4 million USD) traded in the two markets, up 6.3 percent in volume and 4 percent in value compared to August 15. These levels however were still much lower than the average of more than 300 million shares with value of 4.7 trillion VND traded per session last week.